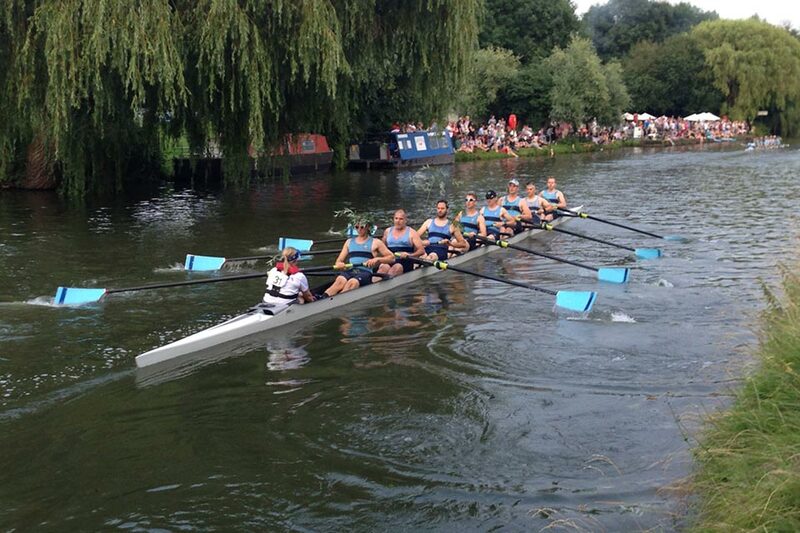 SNRC men’s 2 crew at Cambridge Bumps. St Neots Rowing Club won the John Jenner Trophy for a record fifth time at this year’s Cambridge Bumps, and remains the only club not based on the River Cam to have ever won it. The trophy is awarded to the club that achieves the most bumps throughout the four-day event per number of boats entered. St Neots had four entries – two men’s and two ladies’ crews in the top two divisions – and all achieved at least one bump throughout the week. The Bumps is one of the most exciting events on the local rowing calendar and often attracts large crowds, eager to see an alternative to traditional regattas. Crews start in a line on the Cam and attempt to catch – or bump – the boat ahead. Those that achieve this move up a place in the starting order for the following evening’s race – and get the chance, according to tradition, to adorn themselves in garlands made from willow plucked from the riverbank. The St Neots men’s first crew climbed from fifth to third place in division one, putting themselves in a good position to challenge for the overall Bumps Headship title next year. Both women’s crews bumped once over the course of the event, but it was the men’s second crew that scored the most, climbing an astonishing five places in division two. They even achieved a rare ‘over-bump’ on the Wednesday, catching the crew three places higher in the starting order, after the two boats immediately ahead of them had already come together in the own ‘bump’. 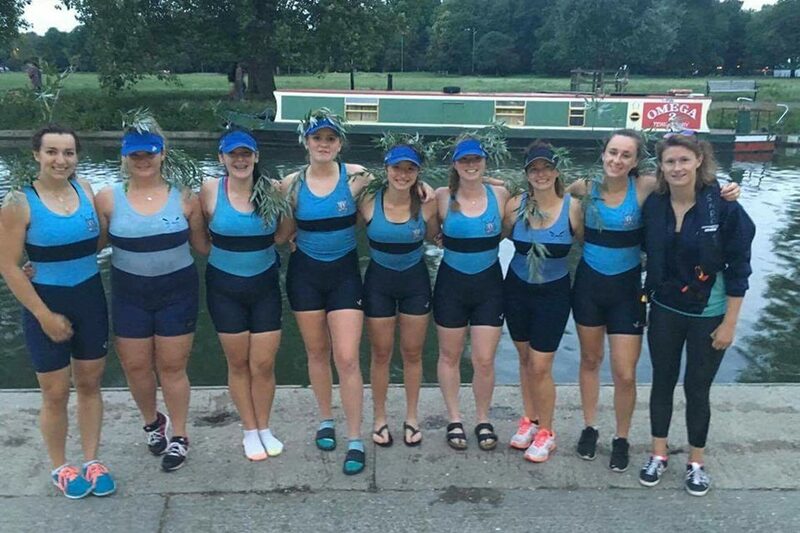 St Neots women’s first crew: Kat Harris, Aimee Parker, Tash Holdaway, Voirrey Taylor, Louise Shorten, Liv Hooper, Dominie Clarke, Jade Hellett and cox Libby Milne.